Yes, Drink of the Week is back this week, but work on the new location at Drink of the Week Plaza continues and I’m really not even remotely settled in yet. Odds are, it’ll be a few weeks before I get back on a more regular, weekly boozing schedule. Even so, I was tempted away by one of my boozy benefactors to come back with a special Valentine’s Day edition of DOTW and a really delicious recipe they gave me absolutely for free. It’s a doozy. This week’s selection is as sweet and delicious as love itself and, if you drink enough of it, is guaranteed to enlarge your heart…with cholesterol. Very honestly, however, it’s tasty enough that you may might not mind. No joke, the anonymous mixologist who developed this for the Laphroaig Scotch Whiskey people knew what the hell he or she was doing. Combine everything but the garnish in a cocktail shaker with a ton of ice. Shake with all the vigor of a new romance, and strain into a cocktail glass. (The Laphroaig people think it should be stemless.) Top with some chocolate shavings. Toast whoever you’re looking at…and mean it, even if you’re looking in the mirror. Like our last great drink, this week’s selection is a warm and loving finger directly in the eye of the idea that there are no great Scotch based cocktails. What’s really interesting about the Perfect Gentlemen is that it really does seem to be best with this very particular brand, which I’ll admit to having quite a crush on. Yes, it’s true I got my bottle of Laphroaig 10-Year-Old Scotch Whisky for free but the distinctively ultra-smokey flavor, with a hint of sweetness and a bit of vegetables too, has really grown on me. I might even purchase a bottle some day with my own money! 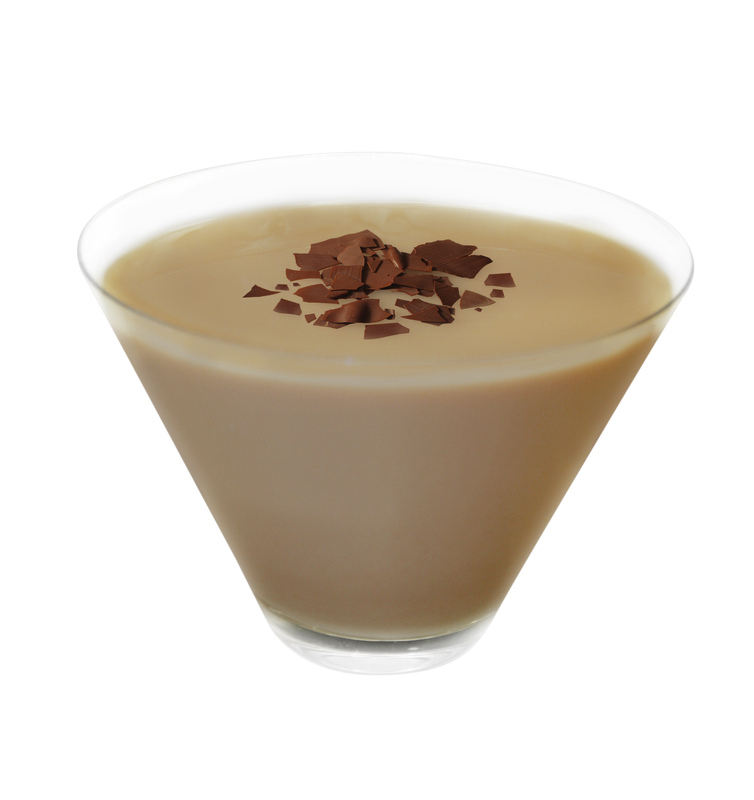 In the Perfect Gentlemen, the evocative smoke of the single malt Scotch cuts through the sweet creaminess of the crème de cacao chocolate liqueur and the heavy cream in just the right way. I tried the drink with a very decent inexpensive blended Scotch and found the results to be, relatively speaking, dullsville. I’m totally sold on the Laphroaig for the Perfect Gentlemen and would suggest you try it that way, if at all possible. I also strongly suggest you don’t skip the chocolate shavings. This is Valentine’s Day after all, and chocolate really does seem to be related to love in some unusual way. Cheapskates will be happy to know that you don’t necessary have to use a fancy or expensive brand. My shavings were produced by taking a dull knife to a Hershey Bar. I do have to admit, however, that my second Perfect Gentleman was, while still delicious, ever so slightly less rapturous than my first. My measurements may have been slightly off that time because my usual measuring jigger is still packed away somewhere. Or, maybe, it’s just that there’s no topping that first blush of true romance. Happy Valentine’s Day, anyway.